SALT LAKE CITY, Utah – HARMAN’s DigiTech Stomp-tember reaches new heights with the introduction of its Angelic Choir e-pedal for the iStomp downloadable stompbox. 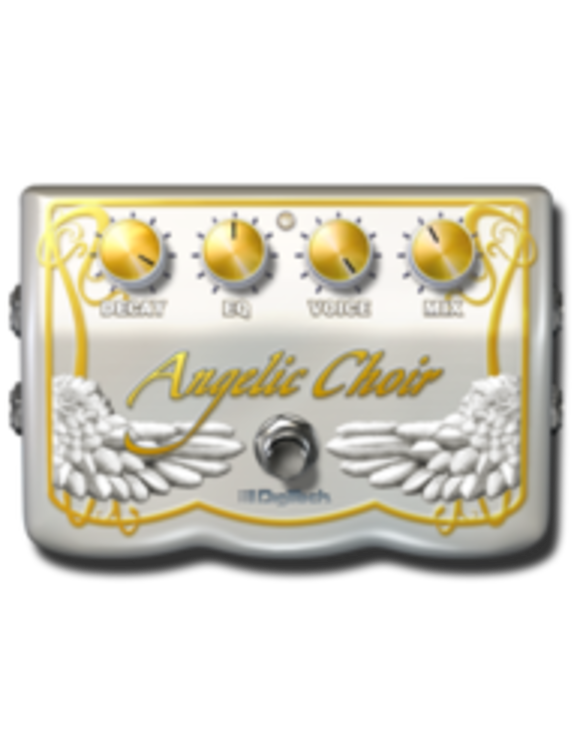 Based on a Lexicon® Hall reverb, Angelic Choir offers cascading octave pitch shifting and creates an ethereal synthesizer-like effect for guitar. The Angelic Choir uses proprietary Harman-developed DSP algorithms that process the input from a guitar to generate a totally unique ambience effect unavailable from any other effects pedal. The e-pedal’s Voices knob adjusts from a single “voice” to an entire choir or anything in between. A guitarist can use his or her volume knob or volume pedal to produce enthralling volume swells. The DigiTech Angelic Choir e-pedal is available immediately at an introductory price of $0.99. This introductory price will run through October 24, 2012. After the introductory period the price will change to $9.99.